A serial entrepreneur, 39 year old Dor Skuler has co-founded five ventures, the most recent being Intuition Robotics, following his passion to develop artificial intelligence-driven robotics that address major social issues of the 21st century. Having trained in Israel’s elite military intelligence unit 8200, Dor made a mark on interactive broadcast technology with Zing Interactive Media (acquired by Invesco, NASDAQ: IVZ) and security software through Safend (acquired by Wave Systems Corp, NASDAQ: WAVX). Dor then joined Alcatel-Lucent to create and lead innovative ventures, most notably Cloudband (NYSE:ALU), the world’s first platform for Network Functions Virtualization (NFV), cited by Nokia as a major motive to purchasing the French-American telecoms giant. As Senior Vice President at Alcatel-Lucent, Dor was a regular speaker on the telecoms circuit, frequently cited in the media and made the Global Telecom Business ’40 under 40’ list in 2009, 2011 and 2013. 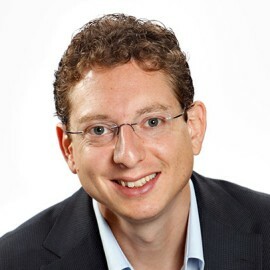 Dor holds an MBA and Master’s of Science in Marketing from Temple University, has coauthored ‘Cloud Computing: Business Trends and Technologies’ published by Wiley in 2016 and holds board level advisory and director roles for several telecoms, cyber security and tech-led social impact ventures.